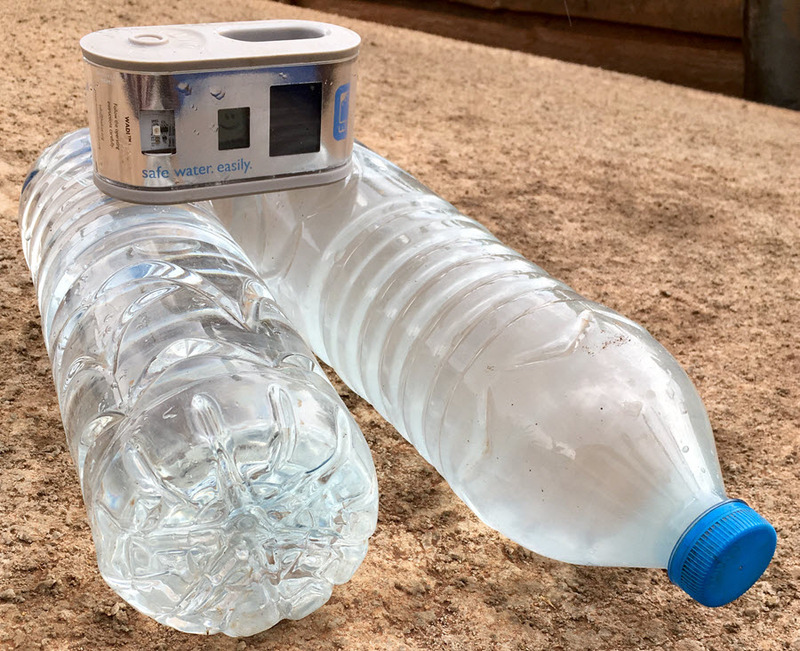 Helioz works in Mabarara, Western Uganda, where they partner with a local NGO to initiate an intervention program to supply clean drinking water to a community of about 10,000 people using SODIS (solar water disinfection) in conjunction with their WADI device. One of their main challenges for water quality monitoring is testing in relatively low ambient temperatures. Helioz must also obtain test results quickly because they do not remain in one location for more than 48 hours. Helioz selected the Aquagenx Compartment Bag Test (CBT) because of its portability and ease-of-use in low resource areas with colder temperatures. 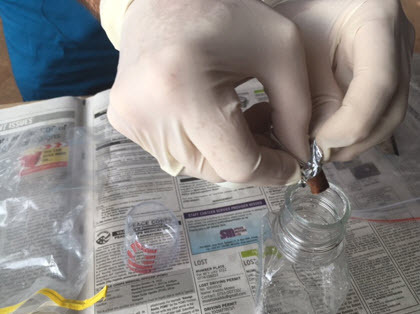 They tested a village drinking water source with CBT Kits to quantify E. coli bacteria in 100 mL water samples. This source was known to have high levels of E. coli, as it is near cow pastures. Because ambient temperatures were comparatively low (< 29°C during the day and < 20°C at night), they incubated CBT samples for the recommended 48-hour incubation period. CBT test results confirmed the water source was unsafe to drink. Most samples contained >100 E. coli per 100 mL, placing them in the Unsafe health risk category. Helioz then filtered the same highly contaminated samples through a cotton cloth to reduce turbidity, poured the water into a plastic bottle and placed it in the sun next to their WADI. After 2.75 hours, the WADI confirmed the water was safe to drink. 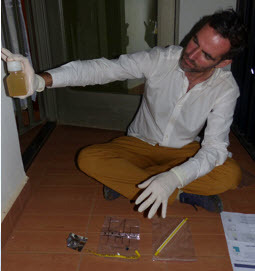 Finally, Helioz tested this disinfected water with the CBT and results revealed zero E. coli, proving the WADI ensures water safe to drink and solar disinfection kills dangerous E. coli bacteria.